Comments: An eye-catching display few other azaleas match. 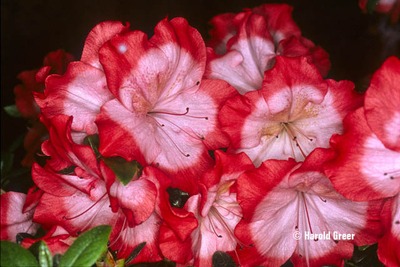 Large, 4.5 inch flowers are creamy pink with bright red edges. Bloom time in the Northwest is May and may extend into June. Glossy, green leaves make this evergreen shrub a welcome addition to the garden.